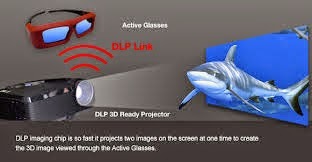 DLP projectors are famous for producing an incredible picture quality. Advances in BrilliantColor technology, which is now available in many DLP projectors, are setting a new standard in color performance. See why DLP projectors are the best choice for business, education, home theater, and much more. DLP Projectors with BrilliantColor technology feature multi-color processing to produce stunning, vibrant colors on the screen. Unlike other technologies such as LCD which use just 3 primary colors to produce the image, DLP Technology with BrilliantColor uses up to six separate colors. Color accuracy is paramount to a quality image. BrilliantColor not only improves color accuracy, it brightens secondary colors as well. This combination produces a new level of color performance that increases the brightness of the colors by up to 50% over DLP projectors without BrilliantColor for accurate, true-to-life images.